1. Things that seem so important to us in our everyday lives just are not. Mom thought it was important that she follow the strict rules of her religion. She had to wear a skirt every day, as well as have her long hair in a bun. Mom never ever wore jewelry and rarely watched TV. Guess what? The aides put her hair in a ponytail, and she wears the Mardi Gras beads that she wins at bingo! 2. Being angry at family and friends for not taking the time to visit Mom in the nursing home/assisted living is not beneficial to anyone. Everyone is doing the best they can. Maybe they won’t know what to say when they visit, maybe nursing homes make them uncomfortable and they don’t know what to do with that feeling. It doesn’t mean they don’t love her, they do. Forgive, and let your expectations of them go. 3. Alzheimer’s does not take away love. Love is too big. Mom loved her God a lot. Alzheimer’s’ hasn’t taken away that love either. She suffers from chronic back pain, and when I ask her how her back is, she tells me it hurts. And then says God is good to me. 4. All that matters is our moments. That’s how Mom lives now, in the moment. All the things we worry about for tomorrow, so much energy spent on pointless worries. All we have is this moment, this day. Stay there. 5. There is some joy in Alzheimer’s. Yep, I said it. Mom did not have to deal with the pain of losing a niece and nephew that passed in their forties, whom she was close to. She doesn’t think about who is paying her phone bill and when she needs new clothes. She doesn’t know her ex-husband passed away, or that a sister in California died from the same disease she has. She doesn’t know that her sister first stricken with Alzheimer’s is the one in the bed right next to her. Or that yet another sister is on the third floor of the same facility with the same disease. She does not know that a fourth sister is now in the assisted living next door with a form of dementia. That is a lot of pain she didn’t have to face. 6. We will be together again one day. Her mind will be clear, and she will see how much she taught all of us by having Alzheimer’s. 7. It’s OK to be wrong. It doesn’t matter who is wrong and who is right anyway. 8. You will have people along the way that will come into your journey simply to help you and then move on (Power of Attorney and Health Care Proxy were not the first things on my brain!). 9. 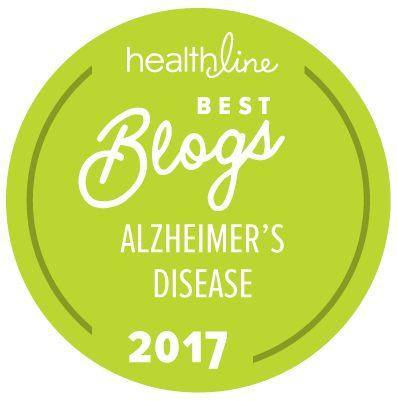 Alzheimer’s disease is a family disease, not an individual disease. 10. I’m stronger than I thought I was. You were right Mom! About the Author: Christine Dileone MSN, RN, is an Assistant Clinical Professor at the University of Connecticut School of Nursing. She uses the resources of the Alzheimer’s Association in her teaching, specifically on communication techniques with dementia patients to maintain dignity. She is a Ph.D. nursing student at the University of Connecticut, and plans to continue research with individuals with Alzheimer’s. She coordinates a monthly Alzheimer’s support group and is actively involved in the annual Walk to End Alzheimer’s® as well as The Champions in the Fight Against Alzheimer’s Women’s Campaign. Absolutely beautiful piece. Meeting people where they are and honoring the lessons they can teach us is very powerful. Thank you for sharing your heartfelt insights. This is sure to be a source of strength and encouragement to many who are dealing with the daily trials and tribulations of caring for a loved one who has been diagnosed with Alzheimer's Disease or dementia. You are a strong, loving, Christian woman and a role model to many! Thank you so much for writing this post ! I am my Mother's full time caregiver, we live here in the home. It gets frustrating at times. Yes, a very Godly reminder to live in the moment ! I really love #10. This was lovely. Thank you, Christine. This made my day. My precious Mom was a LPN at Hartford Hospital for 35 years. I am now her nurse and full time caregiver. It has been an eight year journey and I continue to learn more everyday. Thank you for the important reminders, beautifully written. This is an awesome article and I thank you for it – I need this today. God bless you and your family. Thanks, Christine (and your mother! ), for that great advice. I especially liked #4—about living in the moment. I keep hoping my mother (who has Alzheimers or some dementia) will learn that. It still bothers her—she will often complain that she doesn't remember something that happened earlier in the day. She becomes negative/sad/ even though I've tried to tell her it's OK if you don't remember–we all forget more as we age—just enjoy this moment now. But it doesn't really seem to help her. Do you think that as the disease progresses she will become more satisfied with "living in the NOW", or does it have more to do with the person's original personality? Was your mom always the type that enjoyed living in the now? My mom's personality has improved A LOT since being in the nursing home because they have her on a very mild antipsychotic, so she is no longer the mean, angry mother I knew all my life, and I am grateful that I will now have some good memories of her as a person, but she still has her old tendency to be anxious even when she doesn't know what she is anxious about. I wish I could take her anxiety away. Sometimes I seem to succeed, but other times I can tell she's still anxious. Beautiful! Thank you for sharing. Many of the points also apply to people that struggle with other life-draining diseases. God continue to bless you! Thank you for wonderful and very real reminders of the good parts of dementia! My Mom is 93 years old and has dementia. I pray every day that I can bring her joy and peace, and let her know that she is loved. What else matters? Christine, thank you for the important work you do through teaching others – everyone needs to be treated with dignity, dementia patients are no exception. You said there is some joy in Alzheimer's – your mother was blessed not to feel the pain of the death's of so many family members, but you were not so lucky – you may have felt enough for both of you. May you be touched with God's grace in all that you do. Peace and blessings. I love how you showed the positives in caring for someone with dementia. My Mom died four months ago today; I was one of her caretakers and feel blessed to have been with her through it all. I am thankful for our times of reading the paper, drinking “good” coffee, doing jigsaw puzzles while she could, playing with her jewelry and working in the garden- simple joys that bring tears and smiles to me now. My Mom remained a sweet lady till she died yet was anxious many afternoons. I feel the dementia blunted the full anguish of losing my brother and many of the everyday worries that plague most of us. She was a joy and taught me so much. God was good to her and us as we journeyed together. Thanks for the kind works. My Mom has Dementia. I haven't seen her for over a year because she was taken away to the southern part of the United States from Maryland now in Georgia, by my sister. In Assisted Living now 3 yrs. and diagnosed about 6 yrs. ago. My sister had to get the Power of Attorney and doesn't really want to communicate with me or our family. She will not tell me about the financial expenses and mom's retirement business. Mom lived in Maryland 45 yrs. and now her family and friends are just left wondering if she is still kick-in. We need a cure for this disease and I hope very soon. I enjoyed your story. Thank you for a beautifully written article, Christine. I struggled most with #2. I had finally accepted that my husband's children were not going to visit him nor help me in any way with his care. Thanks to you, today I have forgiven them for that. May the Lord continue to bless you and your mother as you continue this journey together! We help many families with Alzheimer's family members. We thought this was beautiful. We love our family member's and it can be hard and very depressing to witness the progression of Alzheimer's in person. Thank you for sharing your story!